Mohamed Salah may have scored his landmark 40th goal of the season for Liverpool, but Jurgen Klopp was also enthused about his team taking their tally to 121 in all competitions. 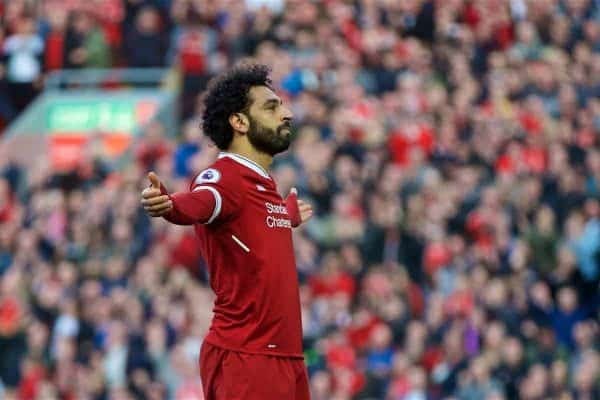 Egyptian forward Salah joined Roger Hunt and Ian Rush as the only Reds players to have scored 40 times in a single season when he nodded in his 30th Premier League goal of the campaign in a 3-0 Anfield success over Bournemouth. That header came either side of efforts from the other two members of Liverpool’s attacking triumvirate, Sadio Mane and Roberto Firmino, as Klopp’s men reestablished their 10-point cushion over fifth-placed Chelsea in the race for Champions League qualification. “It’s all about him and all about us, how we finish the season,” Klopp said of Salah. “It’s completely normal that a boy in that situation wants to be top of the scoring list, the golden boot. “But we cannot force it; so, pass, shoot, pass, shoot, that’s the normal thing to do. It’s good and impressive. What a number. Wow! Salah’s personal dual to deny Harry Kane a third successive golden boot was brought into sharper focus after the Tottenham forward was controversially awarded Spurs’ second goal against Stoke last weekend. They had appealed the Premier League Match Centre’s call to hand Christian Eriksen the goal, with Kane arguing the Dane’s free-kick had brushed his shoulder, and the overturning of the decision prompted Salah to respond with surprise on social media. Asked about his leading scorer possibly being distracted by the prospect of that personal accolade, Klopp added: “We need his greed, we need him to want to score. “Weeks ago I said to Mo after a game, ‘That’s a situation where you have to pass’. Sometimes it’s so obvious that he knows it. “He is not distracted or whatever about the golden boot; he wants to have it like he wants us to be successful. Rush was the last player to score 40 times in a season and the Welshman was at Anfield to see Salah join the club with a clever looped header from Trent Alexander-Arnold’s cross. 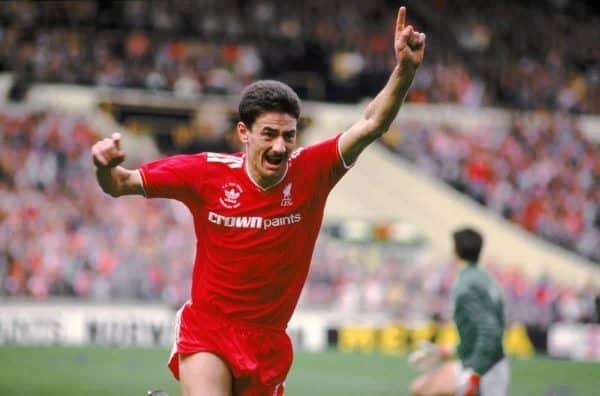 “Thirty-one years ago since Ian Rush scored over 40 goals? Ian doesn’t look that old,” Klopp quipped. Liverpool had beaten Premier League champions-elect Manchester City 5-1 on aggregate in the Champions League quarter-finals and, four days after their second-leg victory at the Etihad Stadium, they were equally impressive to Bournemouth boss Eddie Howe. “Full credit to Liverpool – they have really improved and grown as a team,” Howe said. “They have shown it in the Premier League and the Champions League. They are a very tough team to play against.